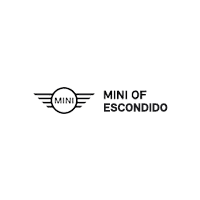 While there are great cars out there in the price range for my new Cooper S, the customer service I've received at Mini Escondido was over and above everyone else. Mike was awesome. My busy schedule requires me to do my due diligence online and other dealers were less than helpful. No such attitude here. Thank you for making my purchase easier. I hit the jackpot with my Service Adviser, Cord Joyce. He was friendly, knowledgeable and went above and beyond to make sure my appointment was quick and affordable. Excellent service all around! Thank you Cord! The staff here are always friendly and helpful. The service center always takes care of me. Best service department IN THE WORLD! Brandon is a rockstar. The ONLY place to have your MINI taken care of.